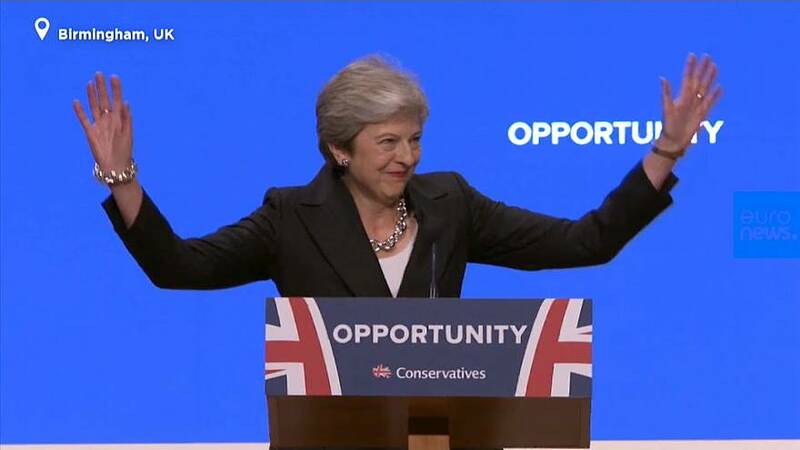 Theresa May danced onto the stage to the sound of ABBA's Dancing Queen ahead of her address at the Conservative Party conference. Prior to beginning her speech, May jokingly asked the audience to "excuse" her if she begins coughing during her address. Her address comes after her former Foreign Secretary Boris Johnson made a scathing speech yesterday calling on the UK government to "chuck Chequers" at the Conservative Party Conference in Birmingham. Following her meeting with EU leaders in Salzburg in September, the UK leader has come under fire for her proposed "Chequers" Brexit plan which was heavily criticised by the EU and Brexiteers. The Northern Ireland border proved to be a sticking point, with May and EU leaders clashing on how to implement a border should Northern Ireland leave the single market. Her Tory Conference speech is thought to be a critical one in order for her to restore confidence in her Brexit plan and Conservative Party leadership.